One of the biggest and most successful swimmers to have ever swam in the Olympics is officially enjoying retirement. 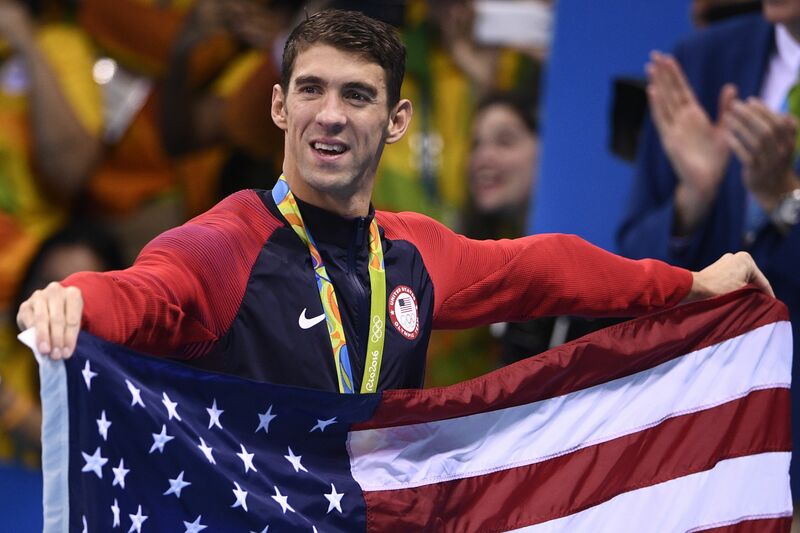 That's right, Michael Phelps is loving his first day of retirement and in the most ironic way possible. Obviously, when one retires from professional swimming they spend their first day away from the sport in a swimming pool. Well, at least Phelps does. In an Instagram he shared Wednesday, the 23-time gold medal-winning swimmer is chilling in the pool with his fiancée, Nicole Johnson, and his son, Boomer. Alongside the photo he wrote, "There's nothing like being back home!! Great way to spend my first day in retirement!!" First, I can only hope whenever I retire (which will probably be never), mine looks as wonderful as Phelps'. I mean, who knew retirement could be so relaxing and adorable? Second, just because the athlete is officially retired doesn't mean he is swearing off swimming or the pool for good. He will just no longer be competing. Even before the 2016 Rio Olympics, Phelps made it clear that the summer games would be his last. While chatting with Matt Lauer in Rio, he once again announced his retirement and clarified that he will not return, despite everyone believing (and hoping) that he will return for the 2020 Olympics. "Done, done, done," Phelps told Lauer. "This time I mean it. I wanted to come back and finish my career how I wanted. And this was the cherry on top of the cake that I wanted." Well, retirement life looks good on him.